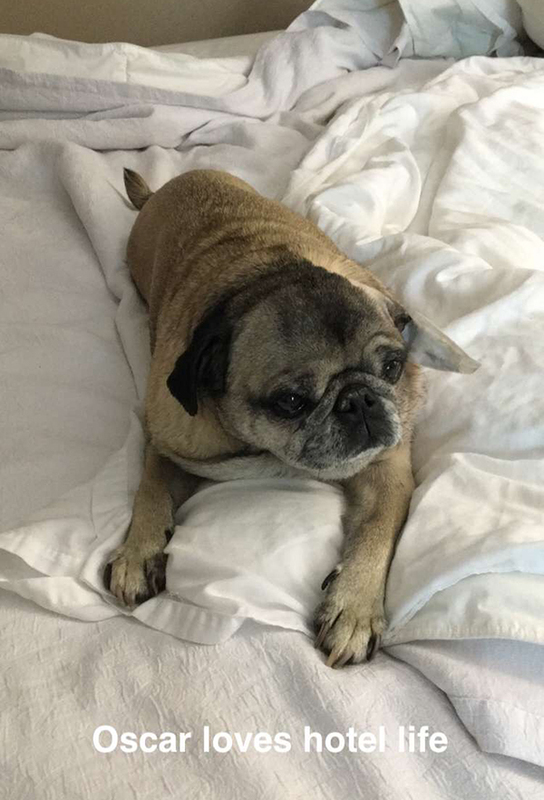 We thought it would be a bit much for our pet sitter to deal with Oscar's injured ear and we wanted to give him a break from the Chomper so we took Oscar with us to Pennsylvania for Aaron's grandmother's funeral. We had to change to a pet friendly hotel but it was worth it. 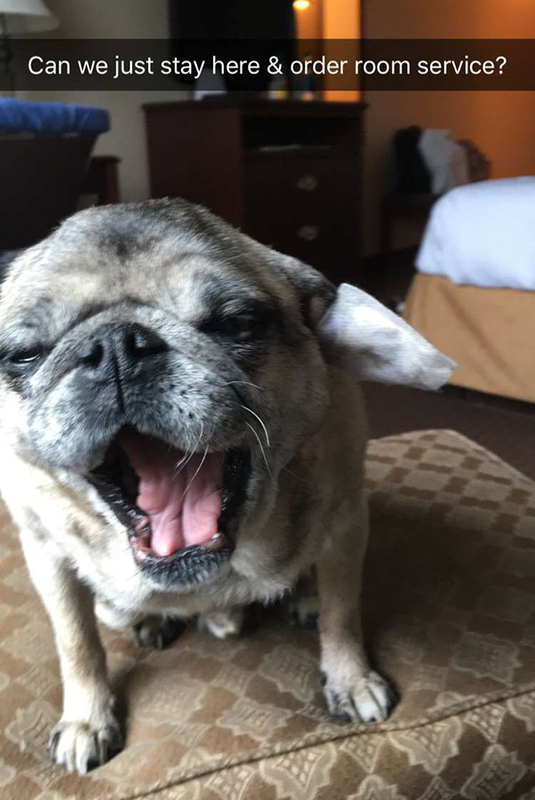 Oscar loves staying in hotels. It's his kind of living. Turn down service and mints on the pillow are where it's at in his opinion. - live well I was very worried about giving all my information online. The Business tech was extremely friendly, knowledgeable, and made the entire experience enjoyable. I have no complaints. Thanks for having this available for people.